The disciplined pursuit of...less. Yes, that is the idea in a book I am reading called Essentialism. The basic premise it that by applying a more selective criteria for what is essential, the pursuit of less allows us to regain control of our own choices so we can channel our time, energy and effort into making the highest possible contribution toward the goals and activities that matter. What if saying yes to everything was actually robbing you of the best things? Perhaps its time to practice the art of saying NO. I know I need this. I have always felt that saying yes was how to make people happy. Truthfully, I can't be everyone's answer or do everything. It just brings on more stress and anxiety. Essentialism says that by focusing on the few things that are really essential, we can make a more valuable contribution. 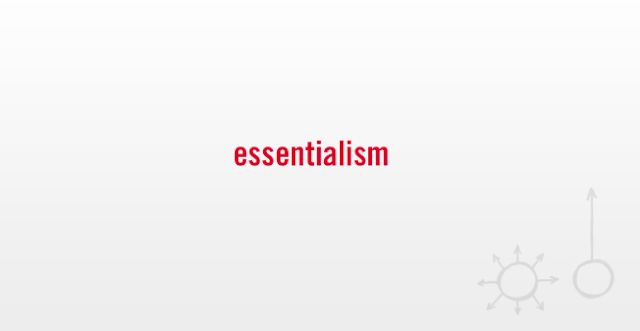 "The Way of the Essentialist isn’t about getting more done in less time. It’s not about getting less done. It’s about getting only the right things done. It’s about challenging the core assumption of ‘we can have it all’ and ‘I have to do everything’ and replacing it with the pursuit of ‘the right thing, in the right way, at the right time’. It’s about regaining control of our own choices about where to spend our time and energies instead of giving others implicit permission to choose for us." I am certain that many more thoughts will come as I dive in to this. If you've already been on this journey or read this book, share with me some of your insights. I'd love to here them!